The Taiwan Semiconductor Manufacturing Company (TSMC) has been manufacturing chips for Apple’s iPhones and iPads since 2016. Samsung once used to be the exclusive A-series manufacturer but the Cupertino giant ultimately shifted all its orders to TSMC. Last year’s 7nm FinFET A12 chipsets were also supplied by TSMC and if a new report is to go by, the foundry will also win all of Apple’s orders this year. According to a new report by DigiTimes, TSMC will get all the A13 orders, allowing the company to further increase its market share in the foundry market. The A13 will be powering the 2019 crop of iPhones and the chipmaker is expected to enter volume production of the custom-designed chipsets in the second quarter of the year. The silicon will be manufactured using an enhanced version of the 7nm process with extreme ultraviolet lithography (EUV), according to the report. CC Wei, CEO of TSMC, said during the company’s investors meeting last month that revenue generated from 7nm manufacturer process is predicted to make up more than 25 percent of the company’s sales this year. He also said that an increase in demand has strengthened the company’s 7nm chip client portfolio. For those that don’t know, Qualcomm and Huawei are also clients of TSMC, using the foundry’s 7nm FinFET process for their Snapdragon 855 and Kirin 980, respectively. However, despite a positive outlook for the 7nm business, the chipmaker cautioned that it expects this year to be a slow one for the global chip sector and it will also be affected by the slowdown. The foundry expects to experience flat growth this year because of macroeconomic reasons. 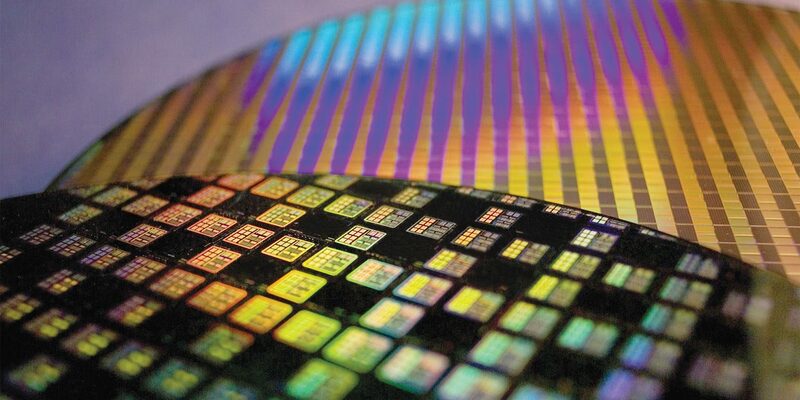 While TSMC is going to use EUV for manufacturing A13 chips this year, many chipmakers have delayed the 7-nanometer process because it’s difficult and costlier to produce. As a result, there isn’t much competition and despite rumored efforts by Samsung to get some of the A-series orders, it appears Apple would be sticking with TSMC for now. However, the company may get its 5G modem from Samsung and possibly MediaTek in 2020, unless the technology giant decides to make its own. You might also like to check out our previous coverage below.